Facebook on Thursday has released a security guide aimed at young adults, parents and educators to educate them about security concepts on the social networking site. The 14 pages of the pdf document are packed with information that range from general account protection information to using Facebook's advanced security settings or recovering a hacked Facebook account. This short guide offers two tips. First it recommends to use a good password. The interesting part here is that Facebook recommends to use the password manager KeePass Password Safe to users who have troubles remembering their Facebook login details. The second tip is to always log out properly after a Facebook session. This part begins with a definition of scammers, and what they do on Facebook. It is very basic but a good read for users who are not familiar with the concept. The "Scammers who target Facebook" part on the next page is more helpful. It displays two examples of how scams look like on Facebook and ends with tips on how to avoid clickjacking, malicious script scams and Facebook account thieves (due to phishing). Several security concepts and information are provided in this chapter. This includes information about secure browsing and how to enable a secure connection on Facebook, the use of one-time passwords with the help of a smartphone or mobile phone and monitoring account activity. Facebook has guidelines on hacked accounts. The firs thing that users need to do is to go to http://www.facebook.com/hacked/ to secure their account. The account will be temporarily locked and the user who initiated the lockdown will have to provide account-specific information to regain control. The top tips for staying secure on Facebook offer additional tips to stay secure, for instance to use add-ons like Web of Trust or NoScript (!) in Firefox to protect the account. I'm a bit surprised to see the guide mention both my password manager KeePass and my favorite Firefox security add-on NoScript. That alone makes the guide stick out from the usual "security guides" on network sites that you find on the Internet. 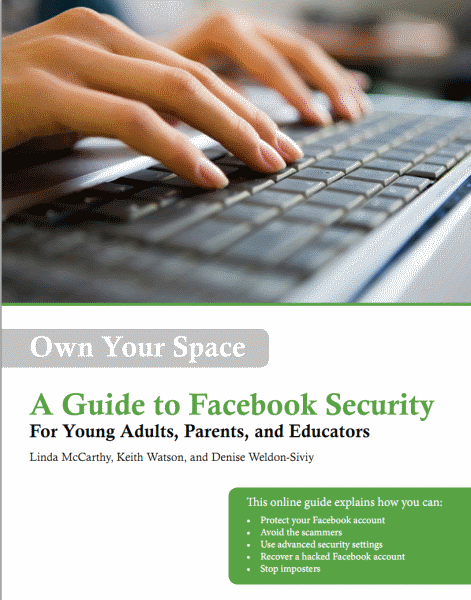 So, great read for users who want to understand some of the security concepts on Facebook. my yahoo account has been compromised, now what 2 do to regain it , tried with security questions which i dont remember those exact answer, what to do and whom (address of yahoo) to write.